We are endlessly fascinated by ourselves, aren’t we? 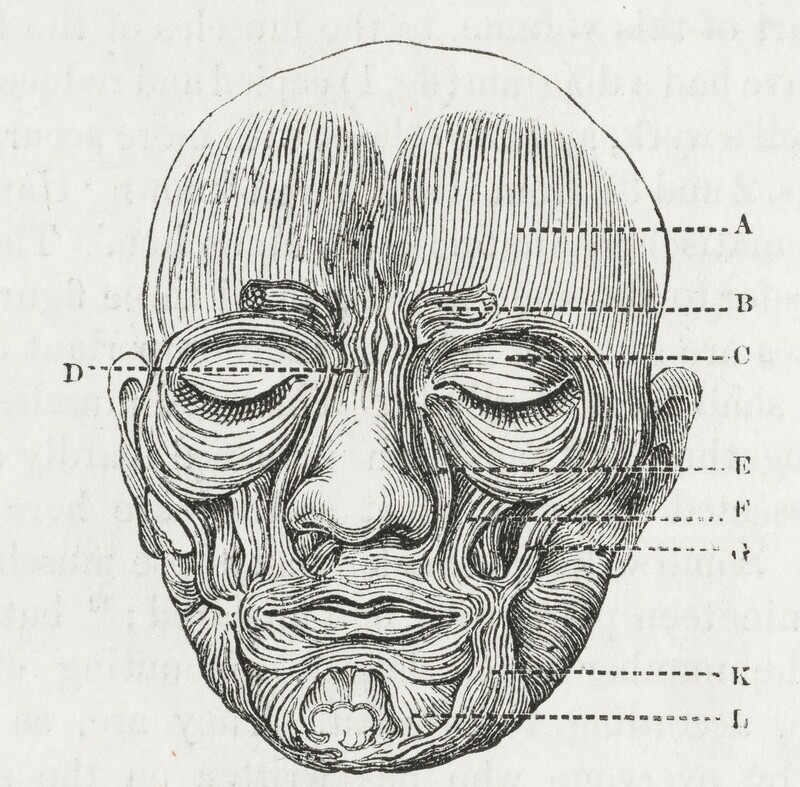 The Muscles of Facial Expression by Charles Bell 1806. 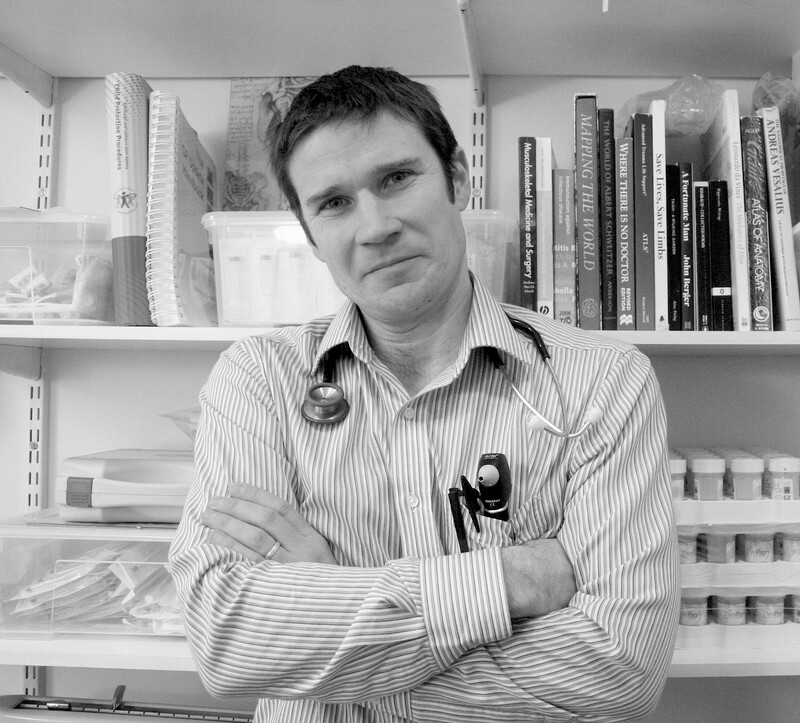 Surprising insights on the human body by Gavin Francis, the award-winning writer and doctor. Gavin’s most recent book, Adventures in Human Being, takes a literary, philosophical and cultural tour through the human body. He also fulfilled a lifetime’s ambition by spending 14 months as the base-camp doctor at Halley, a profoundly isolated British research station on the Caird Coast of Antarctica. So remote, it is said to be easier to evacuate a casualty from the International Space Station than it is to bring someone out of Halley in winter. Empire Antarctica — Ice Silence & Emperor Penguins was Scottish Book of the Year in 2013, and was short-listed for the Costa, Banff, Ondaatje and Saltire Prizes. There was a time when if you wanted a good day out you might go along to see a public dissection — why do you think people are so fascinated with the human body? We are endlessly fascinated by ourselves, aren’t we? It’s one of the wonders of having anatomical knowledge to be able to imagine and understand of the way we’re put together beneath the skin. Public dissections were about voyeurism of course, but they also spoke to a desire to see deeper into our own humanity. What are the most surprising insights on the human body? The body is endlessly surprising — from the way that your hair grows and gathers pigment on the top of your scalp, to the way the bones of your feet are anchored and held in arches that are finely calibrated to support your full body’s weight. I don’t think there’s a part of the human body that doesn’t offer something in the way of astonishment, or revelation. 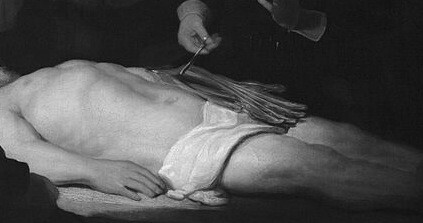 Adapted from The Anatomy Lesson of Dr. Nicolaes Tulp, for Adventures in Human Being. You say that if you wanted to nail someone to a piece of wood, you wouldn’t do it through the palm of the hand, and mention the superstition around ECT, can you explain these? Well, there was a zealous French surgeon early in the 20th century called Pierre Barbet who conducted some experiments that wouldn’t be allowed today — he experimented with cadavers, nailing them to pieces of wood. He found that nails through the palm of the hand aren’t particularly effective, because the tissues there are weak — something I’ve seen myself in the emergency department, when someone accidentally fired a nail gun through their palm. He theorized that Roman crucifixion practices must have involved nailing through the wrist, or tying the arms with rope — something that’s been backed up with the only archaeological find of a Roman crucifixion. As for superstition around ECT — it causes seizures through application of electricity to the brain. Seizures have long been considered an alarming transformation of the body — the ancient Greeks called epilepsy ‘the Sacred Disease’ because it was thought to represent a direct communication between the human and the divine. I think some of that cultural baggage is echoed in the trepidation with which we approach ECT, which was undoubtedly severely overused in the past. It’s now used only very rarely in the West, and even then in situations where all the other psychiatric treatments haven’t worked. The right brachial plexus with its short branches, viewed from in front. Henry Gray (1825–1861). Anatomy of the Human Body. 1918. The earliest anatomists saw a natural correlation between the human body and the planet that sustains us. How does this thinking influence what you do? Our bodies are part of the world, the borders between ourselves and the environment are more porous than we usually think. Sometimes the natural world around us can hold the key to restoring a sort of inner balance. I don’t think it helps to look at illness and human lives in isolation: the context — social, psychological, and environmental — is also very important. Why do you believe some of the deepest and most rewarding insights medicine has given you have been from quieter, everyday encounters? Getting to know people on an individual, personal level, over years, provides some of the most rewarding encounters that as a doctor I’ve had the privilege to experience. That’s where the good stuff is. Slice through the heart showing the ventricular septum from Grays Anatomy 1918. Doctors do their jobs better when they are up to date with the science behind the treatments they prescribe, but also when they acknowledge the importance of culture, metaphor and meaning in the way we make sense of our lives. What do you mean by this and what else have you learnt? We don’t experience illness in isolation, we experience it through filters of everything we’ve ever known about our bodies, their failings, and what our culture has taught us is and isn’t acceptable behaviour. Whenever we have conversations with others about the body and about its failures, when we read books, watch movies, learn history, develop relationships, we’re redrawing our own inner maps of how our bodies and social selves operate within the world. The job of doctors is to try and make people feel better — sometimes curing isn’t an option. Unless doctors can take some of these less tangible aspects of lives into account, they won’t be able to do a very good job. Why did you write the book and what can we expect from it? I wrote it in order to share some of the reflections outlined above — to drag medical practice away from the clinic, and its jargon, and back where it belongs — at the heart of human culture and experience. The Longitudinal Arch of the Foot from Grays Anatomy 1918. Conversations with people we find fascinating. hello@capioca.com.